The San Francisco Art Institute dates back to 1873 when the San Francisco Art Association founded the California School of Design, renamed the California School of Fine Arts in 1916 and the San Francisco Art Institute in 1961. 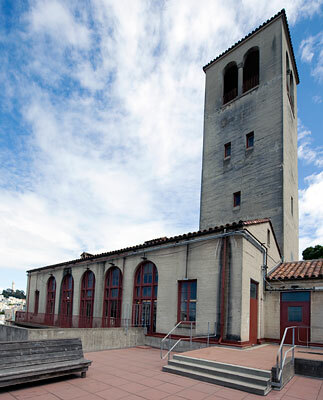 Prior to building this campus on Russian Hill in 1926, the school had occupied several sites on Nob Hill. 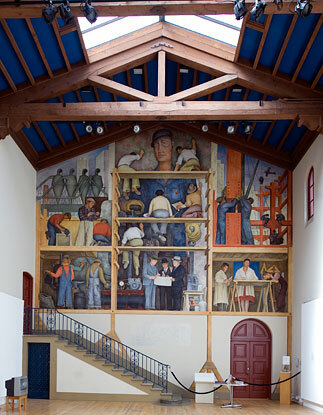 Among the artists associated with the school are Eadweard Muybridge, Maynard Dixon, Louise Dahl-Wolf, John Gutzon Borglum, Clyfford Still, Ad Reinhardt, Mark Rothko, Imogen Cunningham, Edward Weston, Dorothea Lange, Richard Diebenkorn, Annie Liebovitz and especially Diego Rivera who came to San Francisco in 1930 to paint a fresco for the new campus and Ansel Adams and Minor White who, in 1946, established the first department of art photography in the United States. The original Spanish Colonial Revival buildings were designed by the architectural firm Bakewell & Brown and are influenced by the work of Bernard Maybeck. The 1963 addition was designed by Paffard Keatinge Clay who had worked with Le Corbusier, Frank Lloyd Wright, and Skidmore Owings and Merrill. 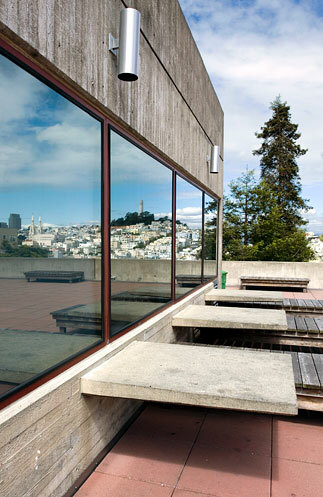 The stepped roof of the lecture hall provides an outdoor amphitheater and stunning views of The City and The Bay. The San Francisco Art Institute was listed on the National Register of Historic Places in 2015.